The spa at Bermuda's Tucker's Point hotel. Itching to get away in what's left of summer but don't have much time to spare? Here are five destinations within two hours of DC, whether you dig the beach, mountains or countryside or are looking to splurge or travel on a budget. The view from Bermuda's Tucker's Point. Thanks to its northern latitude, high season in Bermuda syncs up with our East Coast summer vacations. And thanks to an AirTran nonstop flight out of BWI, the picturesque island is barely a 90-minute hop out into the Atlantic. Base ticket prices are as low as $170 for weekends in late August. I had the chance to attend a press trip to Bermuda's tony Tucker's Point hotel, a splurge with rooms from $600 nightly. Even if you're not a guest, you can hit the gorgeous spa for treatments like a practically edible body scrub with local honey and cane sugar. After sipping a Bermudan rum swizzle in the dark-paneled bar, book the chef's table in the hotel's restaurant kitchen for a multi-course menu. Be sure to pay a visit to the historic perfumery Lili Bermuda in the town of St. George's to take home some islandy scents. Time from DC: Bermuda is a 90 minute flight from BWI. One of my favorite day trips to escape the city is the hour-drive to the quaint town of Middleburg for strolling through shops and hitting some wineries. Make it an overnight at the farm-gone-luxe Goodstone Inn or one of the smaller inns like Red Fox or Middleburg Country Inn. Grab a bite at the Market Salamander, before tasting wine made from the native Norton grape at Chrysalis Vineyards and Bordeaux-style reds at Boxwood. Time from DC: 1 hour drive. A plush guest room at the Inn at Perry Cabin. Closer than the beach with a more laid-back bayside vibe, the towns of Easton and St. Michael's in Maryland are a great weekend getaway. The Inn at Perry Cabin is a stunning property with luxurious rooms and tranquil views, or opt for a smaller property like the George Brooks House, where I had a great overnight years ago, or the new Bartlett Pear Inn. If you're staying in St. Michael's, many inns offer bikes for guests. Cruise around the sleepy neighborhoods and browse antique shops or get your feet wet with sailing lessons. Time from DC: 1.5 hour drive. Escape the radiating concrete heat in the (relative) cool of the Shenandoah mountains. Hit the Skyline Drive for hilly vistas and great hiking. Then trade the hiking boots for a little French country style and check in to L'Auberge Provencale. A few years back, I was delighted to try the paw paw fruits that grew on the property at dinner at the inn. Read more about my paw paw meal here. Head back to DC on 66 and be sure to stop at Linden Vineyards to sip and swirl some great red wines. A feast at the Barbeque Exchange outside Charlottesville includes killer hushpuppies, hickory-smoked pulled pork and fresh doughnuts. Allow me a little wiggle room in the "under two hours" claim of this post to include Charlottesville. I consider some of the bucolic back roads filled with horse farms a getaway in and of themselves. 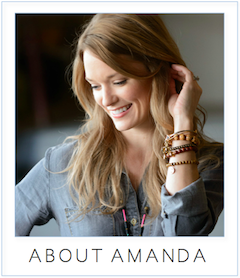 This recent Ask Amanda post on Charlottesville wineries should get you started on what to do. After watching the Tarheel basketball team beat the Hoos this winter, I checked into the stately Keswick Hall for an overnight and looked longingly at the glam pool, making a note to try to make it back in summer. I'd also love to make it back for a stay at Clifton Inn, where I've heard great things about the dining room. Don't miss the Spanish menu sourced with plenty of local ingredients at Mas Tapas. And worth the pit stop detour on the way back north? The Barbeque Exchange in Gordonsville where you'll find hickory-smoked pork and killer hushpuppies.